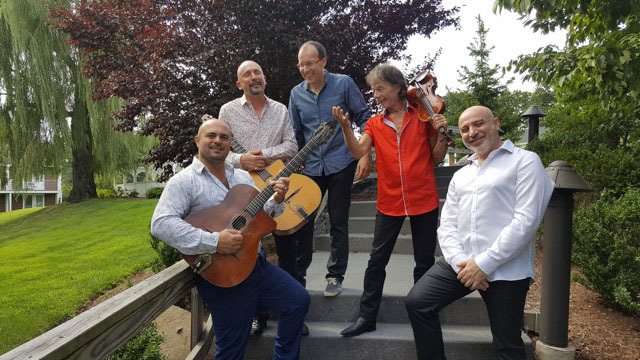 The Django Festival All-Stars are here to celebrate the lasting influence of guitarist Django Reinhardt, violinist Stephane Grappeli, and their Quintette du Hot Club de France. Featuring Samson Schmitt, Amati Schmitt, Ludovic Beier, Pierre Blanchard, Doudou Cuillerier, and Antonio Licusati, they’re joined by George Cole and Eurocana. 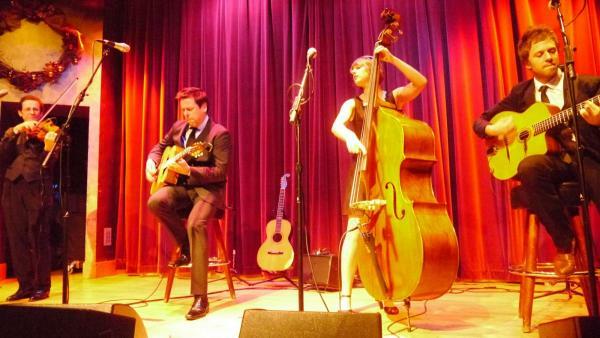 The Kid's Hot Club of Berkeley features Andrew Osborn of Rambling Minors, Miles and Teo Quale of Rambling Minors and Crying Uncle. 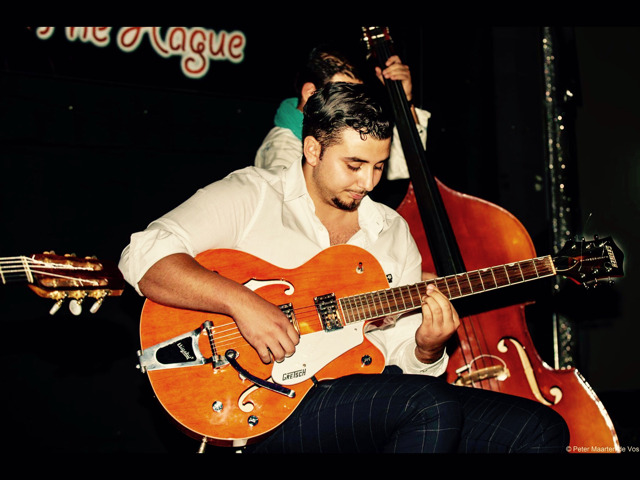 ANDREW OSBORN (age 14) has played (and soloed on the main stage at the Father's Day Bluegrass Festival and represented California's Kids on Bluegrass at the annual IBMA World of Bluegrass in Raleigh, North Carolina. 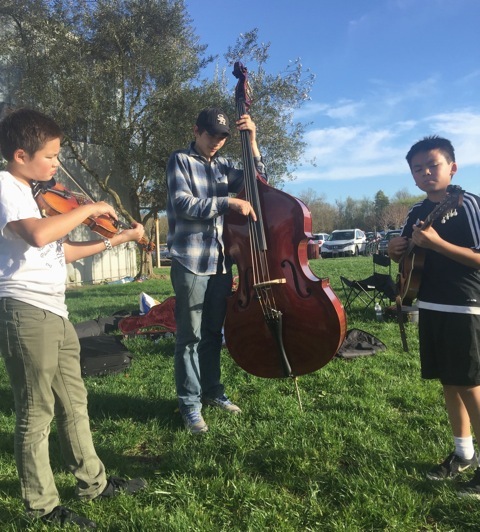 MILES QUALE and TEO Quale have also performed at CBA's Father's Day Bluegrass Festival and the Berkeley Bluegrass Festival. They've toured with The Bee Eaters and were featured on NPR's The California Report. Miles (age 13) and Teo (age 10) are also state and national champions in fiddle and mandolin.